According to the Center of Disease Control and Prevention (CDC), the risk and dangers of drowsy driving is likely underestimated and up to 6,000 fatal crashes each year may have been caused by drowsy drivers. Although no one knows the exact moment that sleep takes over his or her body, falling asleep at the wheel creates a very dangerous situation. More than half the adults in the United States admit they have been guilty of drowsy driving with about one-third confessing that they have actually fallen asleep at the wheel. Although crawling behind the wheel when you're fatigued or half awake might seem harmless, you could easily end up the "at fault" driver in a terrible auto accident. Having difficulty paying attention to the road is a similarity of driving drunk and drowsy driving. However, in many ways, a drunk driver is more obvious to other drivers as they often drive more slowly and swerve. That is usually not the case for a drowsy driver who can nod off at a much higher rate of speed. 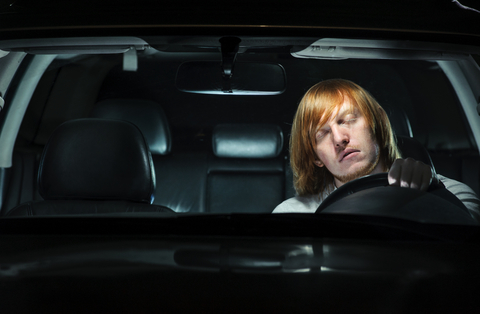 Drowsy driving can happen in a variety of situations, whether you are partially awake getting an early start on a trip or trying to push through the exhaustion of a 24-hour day. According to a recent report by the National Highway Traffic Safety Administration, drivers who only got four to five hours of sleep over the past 24 hours more than quadrupled their risk of being involved in an accident. When the brain stops taking in and processing information, we nod off. Almost everyone has experienced this sensation while sitting at their desk, watching TV or even reading a book. Unfortunately, when this happens to someone who is behind the wheel, it is easy for them to drift out of their lane or completely miss a traffic signal. The scariest part is that researchers believe you might not be aware that these dangerous lapses are happening. The truth is we all have a responsibility to ensure that we can remain alert when we are behind the wheel. Moreover, we should ensure that our loved ones, especially younger drivers, know that drowsy driving has similar perils to drunk driving. If you or a loved were seriously injured in an accident with a drowsy, drunk or distracted driver, contact Schackow & Mercadante to speak with a personal injury attorney. Because of our proximity to I-75, the University of Florida and Santa Fe College our firm has a tremendous amount of experience dealing with interstate collisions and accidents involving college students.